The Chef is checking his onions daily to make sure that they are still in the ground. Until the roots take hold, birds can pull them out of the ground. 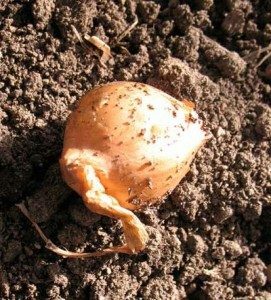 So in the first few weeks after planting the onions should be checked every day and pushed back into the soil if the birds have moved them.